Roll out the 18oz PVC on a flat surface for cutting. Coverene PVC comes in widths of 61″. 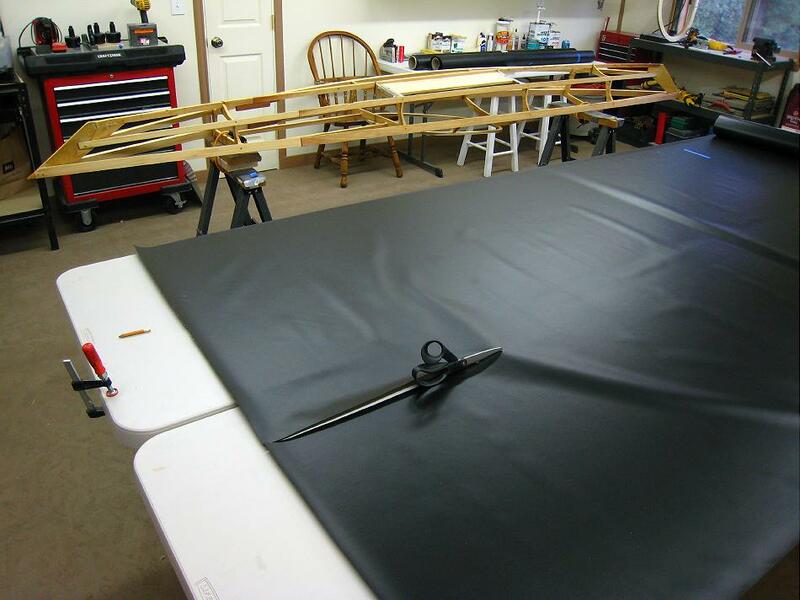 Mark and cut out the 14′ 6″ X 36″ section of PVC with scissors. Cutting can be done on the floor, but several plastic folding tables ( 6′ X 30″) can be placed together to allow a good working height. When not in use, they are folded for storage.